Will A Thai Girl Change For You? 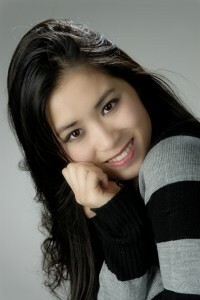 Think A Thai Girl Will Change To Be More Western After You Meet Her? Who Wouldn’t Want To Date Such A Cute Thai Girl? Your Thai Girl Grew Up In A Culture That Is Thousands Of Years Old. She does things the way her mother and her mother before her have done for generations. 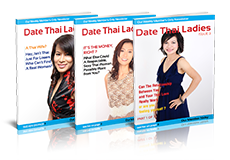 Will your Thai girl change for you? To answer that you need to understand the mindset of the Thai people. Here’s a story to illustrate what I mean. I was eating in an outdoor restaurant near my condo last night when I saw an employee of the condo complex walking around the base of the condos picking up clothes. He had a hefty stack of brightly colored garments rising higher than his head and he teetered back and forth like a drunk teenager on his 19th birthday. Where did he find such a big stack of clothes and why were they there? Why Does Your Thai Girl Do it? 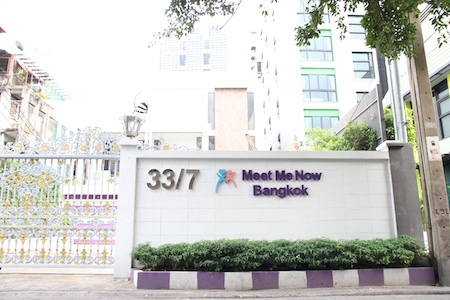 I live in brand new condo complex in Bangkok. There are signs everywhere from the administration saying, and I paraphrase what my girlfriend told me since the signs are completely in Thai, “Do not hang your clothes out to dry on your balcony. It makes us look like a slum”. I looked out at the balconies from my window the day after the signs were posted. No doubt people would see themselves as transgressors of these forbidden deeds and take steps to remedy their errors, right? No chance. After all, this is Thailand. People do what they want to do. Hanging clothes out on your condo balcony is a time-honored tradition in Thailand and that isn’t going to change regardless of how many requests the authorities make to change it or how new your condo complex is. And every time the wind comes up clothes are going to fly off their hangers and drying rods and flutter to the grounds below like loose tires off a 747. You Cannot Let This Cute Thai Lady Stay Single Now, Can You? My Thai girl, it must be told, was hanging out laundry the very next day as well. You might think it would be easy for Thai people to change their laundry behavior. After all, there are laundry services everywhere in Bangkok. I can count six of them within 20 meters of my condo entrance. We use them ourselves for most of our laundry. They wash your clothes, dry them, and press them for a very reasonable cost. People could use the laundry service and not have to use their balconies right? Right, except too many of them won’t all use the service. Firstly it’s an extra cost. If you are Thai living on a Thai salary you look for the best bang for your baht wherever you can get it and avoiding the laundry service will leave more money in your pocket. Secondly, the laundry services won’t wash underwear, so you’ve got to spend time washing those items yourself so why not do your other pieces of laundry at the same time? Why Not Pay For It? Of course, there are also coin-operated washing machines available within easy distance of most places in Bangkok. I see a great many people from my condo downstairs at the laundromat using the washing machines. Using the dryers? Not so much. Why would you do that when you can hang them to dry on your balcony for free? And this being Thailand the items are dry and ready to wear dry quite quickly if there is even the smallest breeze. As you can probably guess, many people save baht and I think, maintain some modesty, by hand-washing their clothes in their apartments. Those people are left without much choice but to hang their garments out to dry on their balconies. It’s part of the fabric of society here and that’s why condo dwellers will be very slow to change their behavior. It’s the same with motorcycle helmets and elephants on the sidewalks. If people don’t want to comply with new laws they just ignore them unless a scary punishment is enforced. Thai Girls Are Exotic And Beautiful. So Is Thailand. You Just Need To Come By And See For Yourself. It’s commonly used to describe things happening in Thailand which seem bizarre to outsiders and perfectly normal to Thais. Do you want to enjoy your life with your Thai girl? Don’t expect her to change. 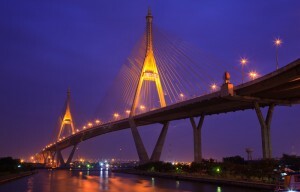 Do you want to enjoy Thailand? Then embrace the sometimes crazy and exasperating differences. It’s these differences which make the world a joyful place. You just have to roll with it.